Friday morning we awoke refreshed and restored from the previous-day’s off-roading adventure. A large and delicious breakfast cooked by Vikki (pictures here if you need your memory refreshed) fortified us for the day’s adventures. We decided to drive to Bristol, on the border of Tennessee and Virginia, to visit the Bristol Caverns. 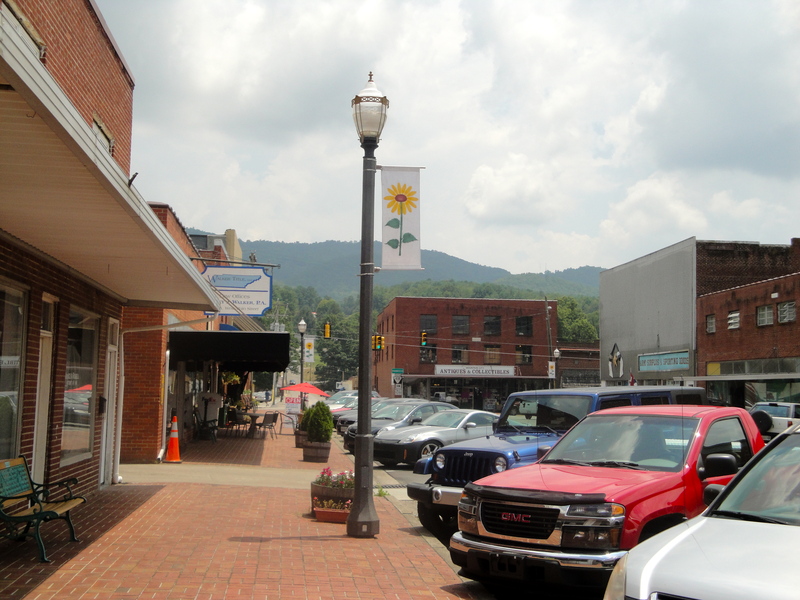 We headed there by way of Mountain City and decided to stop in the town for lunch. Mountain City is one of those places that appears untouched by time and its center is a tiny Main Street where most of the stores only took cash. One of the shopkeepers, whose antique store and real estate business occupied the same space, went on and on about how the town was stuck in the 1950s and how he loved it. While the 1950s had plenty of charm, I’m sure, I’m very happy to be firmly planted in 2011. Credit card machines are good. As is the internet. The town was prepping for their annual Sunflower Festival, but we didn’t return to check it out. Too many things to do! We had lunch in a cute restaurant on Main St. called The Tributary, which is notable for being one of the few restaurants in the area with a legitimate website. Go them! (2011 guys, the internet is great!) I found it on the holy TripAdvisor after deciding that the BBQ joint Vikki recommended for lunch sounded too heavy. After a delicious but filling breakfast I was craving a salad for lunch, and salad I received. There now, doesn’t that look nice and healthy? 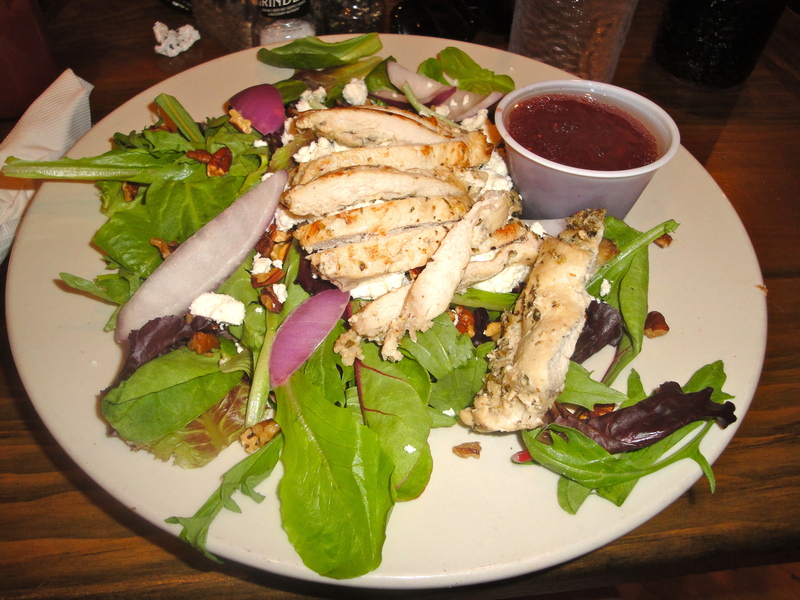 Greens, grilled chicken, candied pecans and feta with a raspberry vinaigrette. Just what the doctor ordered. 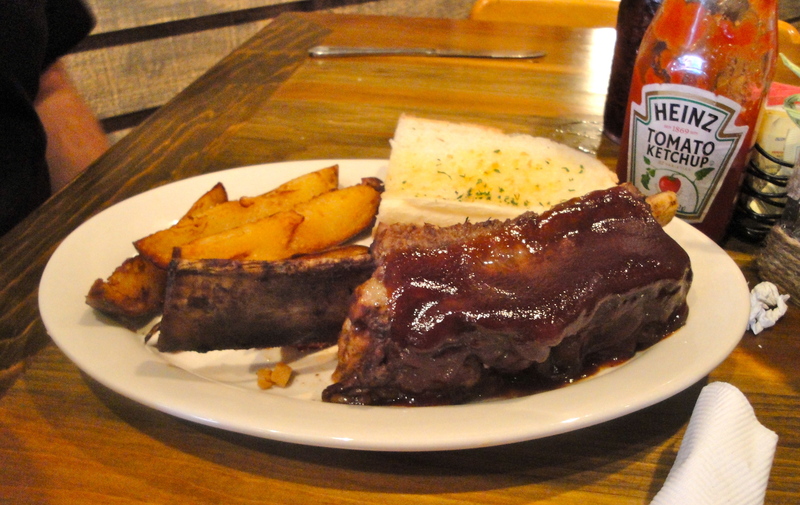 Excellent, tender and flavorful shortribs with seasoned potato wedges and garlic bread. A delicious, carby, fatty mess. I stole a few bites to break up my rabbit food. The Tributary was really a cute, unexpected (I’ve been saying that a lot haven’t I?) place to find in Mountain City. The lunch menu is extensive and has many options, and it looks like the place fancies up for dinner. Well done TripAdvisor! 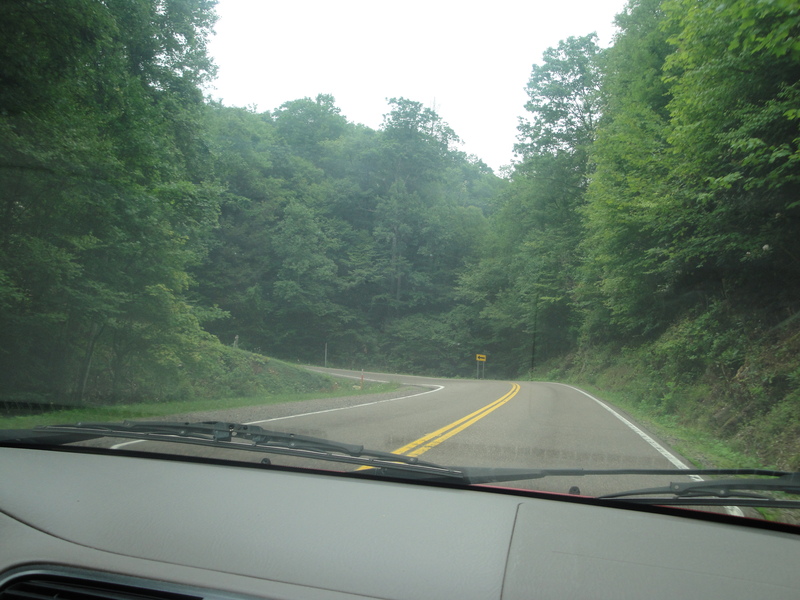 We continued onto Bristol via a stretch of Highway 421 called The Snake. Really y’all, this road is so famous that it has its own website. The Snake is 33 miles of twisting road that winds through three mountains and one valley from Mountain City to Bristol (or, you know, from Bristol to Mountain City). 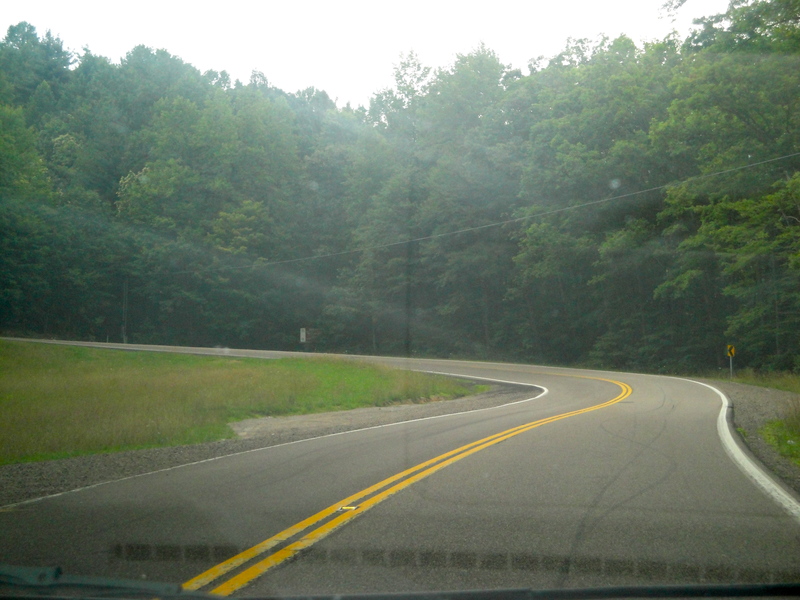 If you want to be precise the road has 489 curves. Car and motorcycle enthusiasts love to drive this stretch of road because of all the twists and hairpin turns. I’d like to say that my little 2002 Honda Civic performed quite well under these circumstances. I am not the biggest fan of curvy roads, so I mostly gritted my teeth and took a few pictures that didn’t really turn out that well (you really had to be there). Jon, however, definitely enjoyed braving The Snake. We also passed several motorcycle packs on the way to Bristol, so clearly this is a thing. I’ve never been a car person, however, so I guess I just don’t get it.